How are you? Is your brand working for you? What are you looking for?Increased sales? Public awareness? A new identity? We've got it! Strategy. Media Production. Marketing. Design. 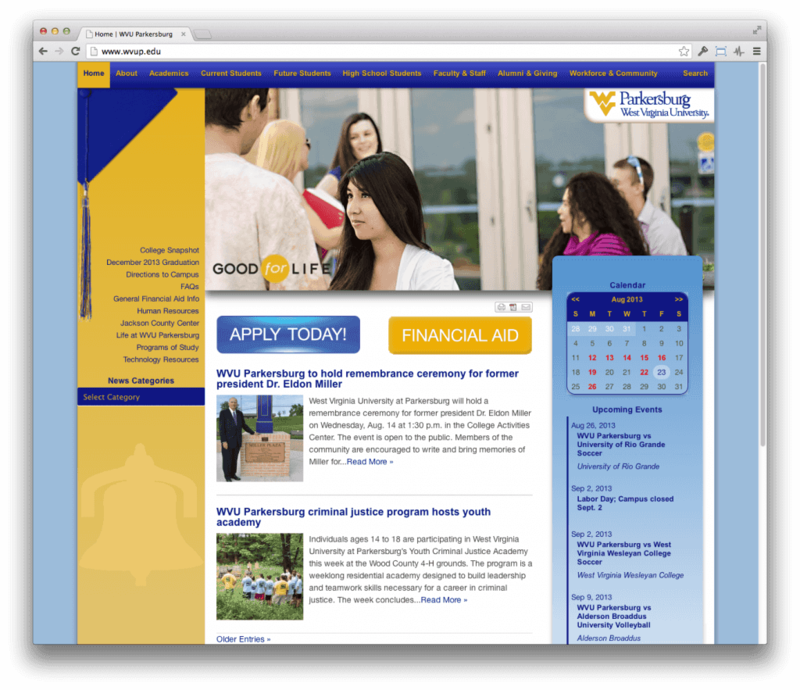 Case Study: WVHDF "Home Delivery"
West Virginia University Parkersburg (WVUP) was struggling with an old, outdated website. Years of unplanned growth resulted in a hodgepodge of different styles and technologies in a static website that had become unmanageable. Lacking a Content Management System (CMS), entire sections of the site contained stale and outdated information and no one at the institution could deal with the problem directly. Gaining control of the site required scrapping all the static HTML pages and replacing the entire installation with a modern database driven solution on a solid and reliable hosting platform. A fully responsive design that allows the site to display properly on mobile devices without the need for a special mobile site. 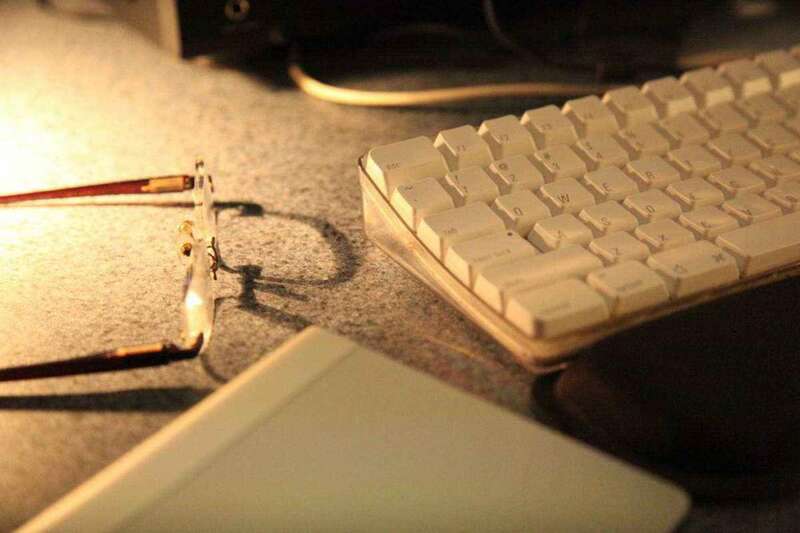 Assignment of roles to users and user groups permits users to only have access to the functions and content they need or have permission to modify. Content control includes role-based editing permissions that can be applied on a per-page basis, as well as content moderation (i.e. content can be approved before going live), and scheduled publication of content (i.e. content can be created in advance and published/unpublished according to a set schedule. 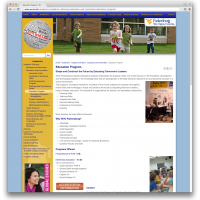 Multiple page templates allow for customization and differentiation between different areas of the site. 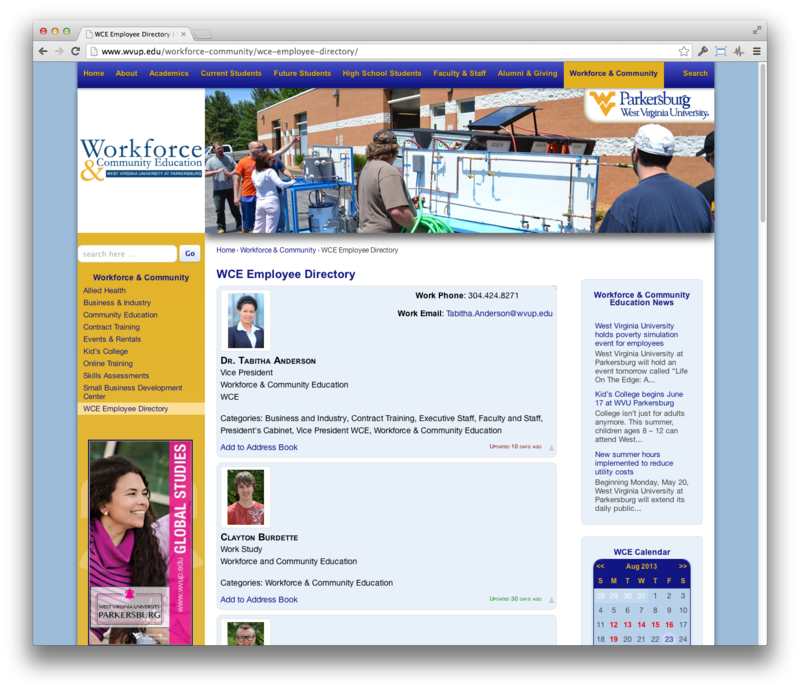 For even more customization, WVUP administrators have complete control over the site’s header images and section icons, allowing them to provide a selection of images on a per section basis which the site displays randomly at each page refresh. 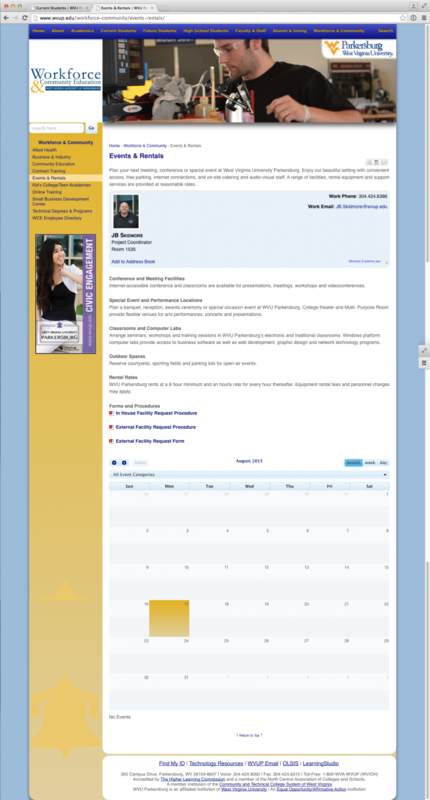 A complete Events Management feature with visual calendar. A categorized FAQ management system, which automatically generates category-based interactive FAQ’s that can be embedded on any relevant content page. 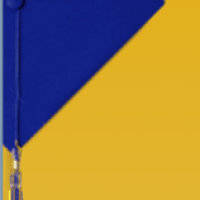 A Staff Directory that can be embedded in its entirety, and on a department by department basis where needed. A Downloads manager that creates a central repository of all the vast numbers of files needed by students, faculty and administrators. Files for download can be embedded individually, by category or through a full file browser. Custom code can easily be implemented within standard content, allowing for display of content generated by other web services, such as the campus emergency notification system. Automated Site Maps are automatically generated for front-end users and can be displayed in their entirety or per section of the site and XML sitemaps are automatically generated for search engine optimization. 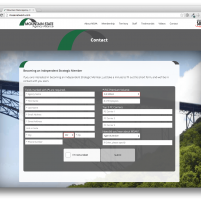 Custom forms can be created for any purpose and embedded within any content area. In addition to submission via email to any chosen email address, form submissions are stored in the database and can be later exported in various spreadsheet compatible formats. An improved page management system featuring and easy to follow tree view allows admins to more easily track the site’s 250+ pages. 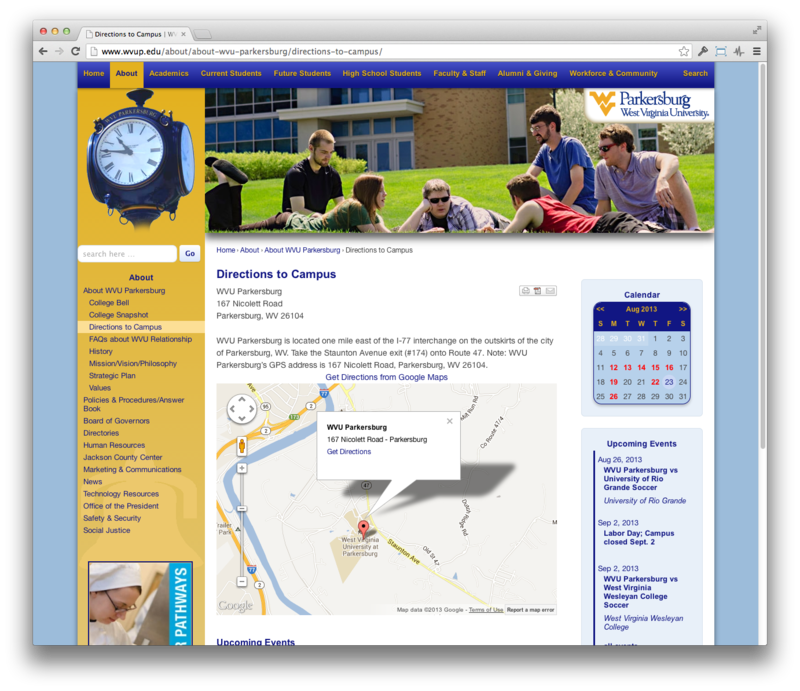 The WVU Parkersburg website is currently live at http://wvup.edu. 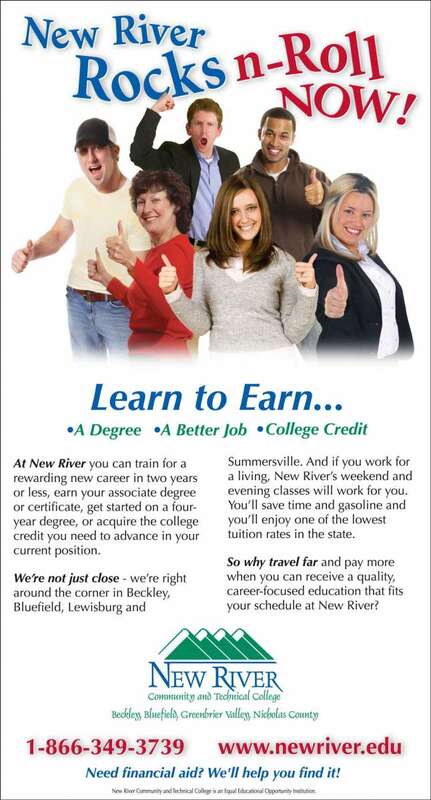 New River was an institution without an identity. 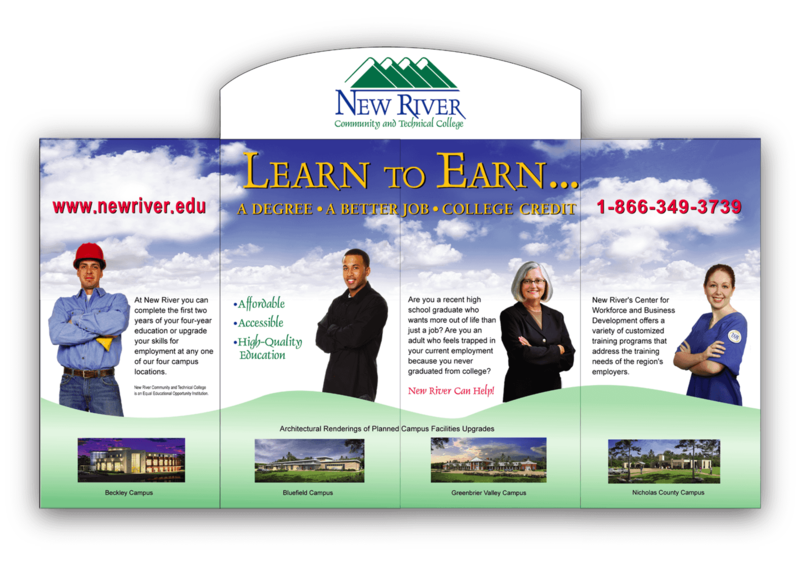 Created from four freestanding colleges located in four different cities, New River faced an uphill battle to establish a brand identity with a limited marketing budget. 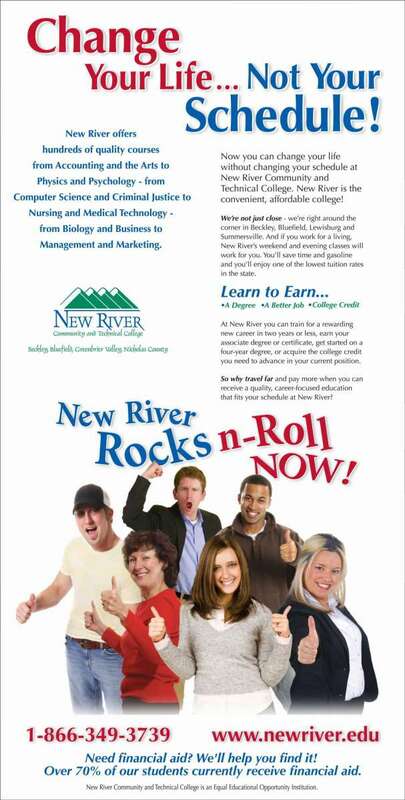 The college had no name recognition in its service area and the local communities that had previously been home to the four individual colleges that make up New River resisted consolidation. Enrollment was stagnant and morale was low. Develop brand awareness across four distinct markets, increase enrollment, and create a unified brand culture across all four campuses. Image Associates immediately went to work to develop a brand and create a spring enrollment campaign. 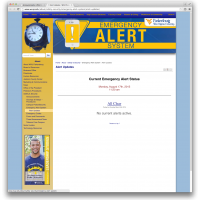 The campaign generated hundreds of calls and introduced the school’s brand to a diverse and geographically segmented population. 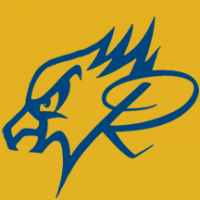 New River’s enrollment rose almost 33% in just a few short weeks and the campaign was pronounced a definitive success. 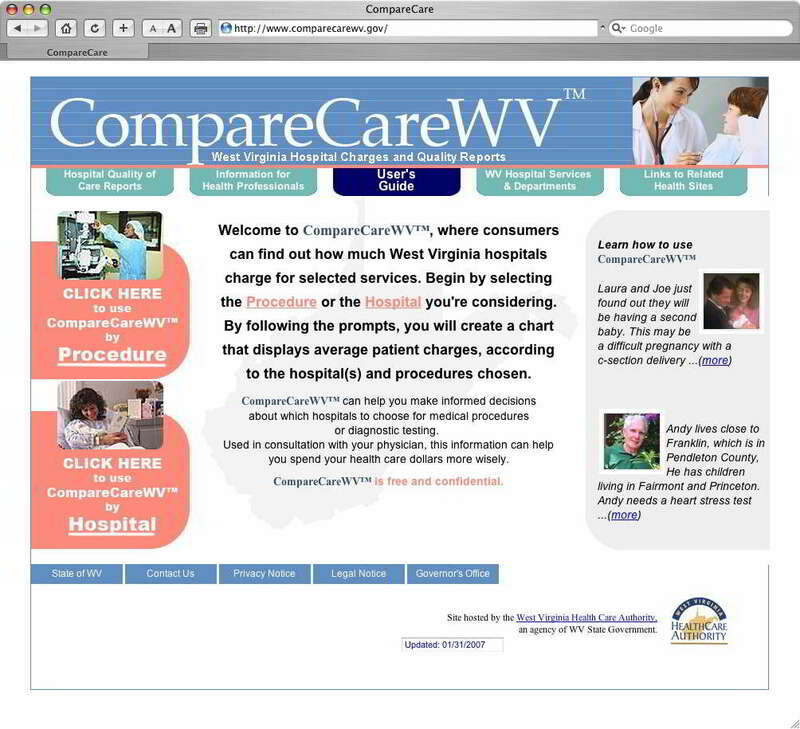 The Governor of West Virginia put forth a mandate that all West Virginians should be able to compare health care costs across all health care providers in the state. 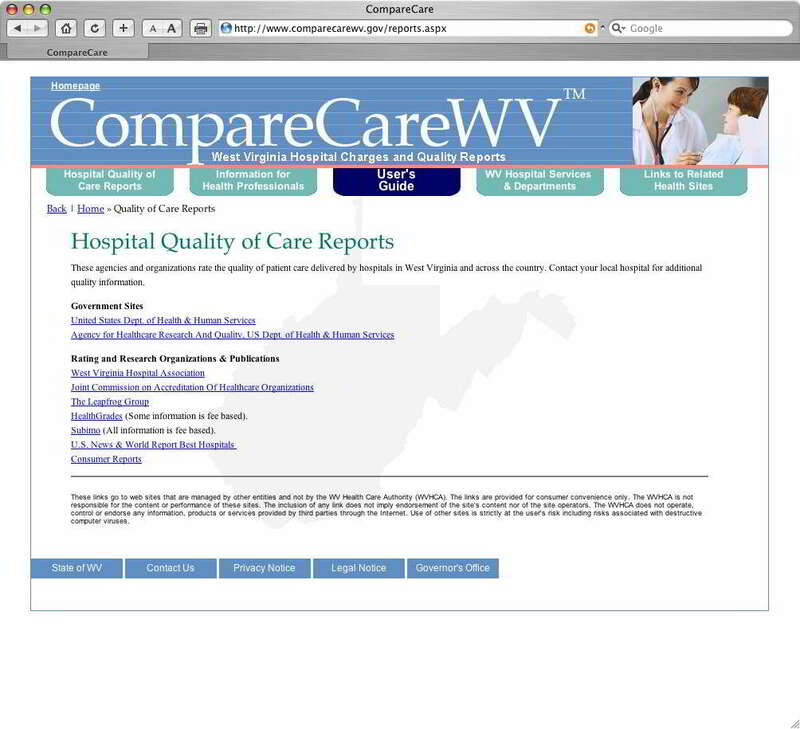 The West Virginia Health Care Authority pulled together a team of experts in database development and Web design, which included Image Associates, to produce the CompareCareWV Web site, where West Virginians could search through a massive database of medical procedures cross-referenced against the hospitals and other providers who performed them. 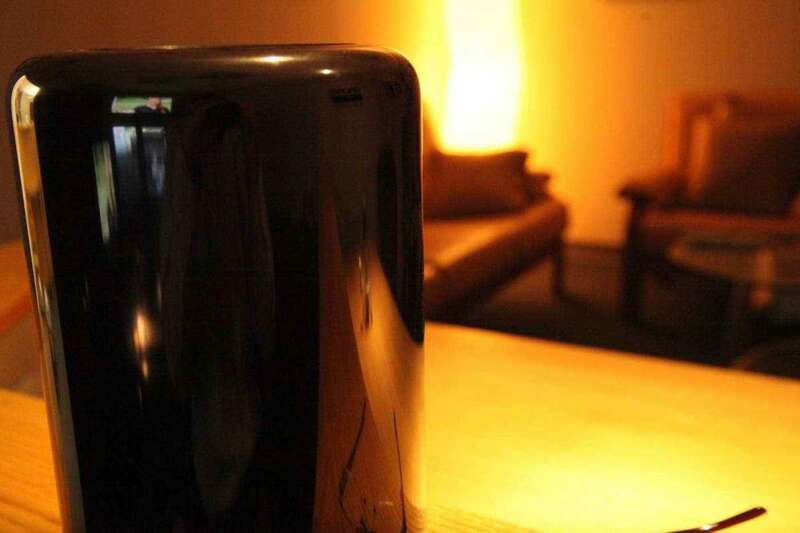 The users could search by procedure or by distance from their location. 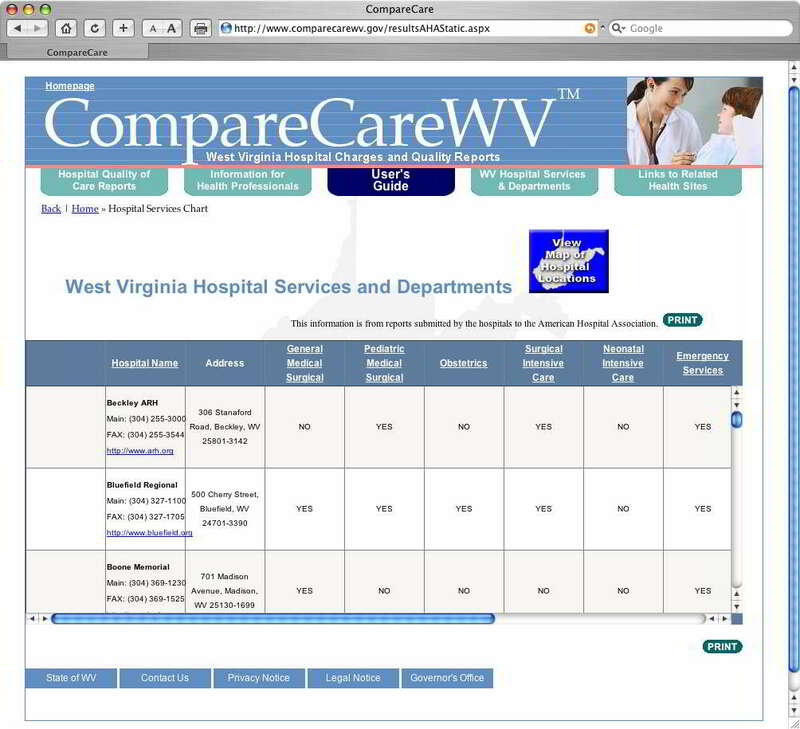 CompareCareWV represented a massive collaboration between Image Associates, the IT Department of the West Virginia Health Care Authority and a third party database administration firm tasked with bringing vast amounts of information in to play. 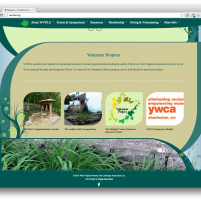 The site was built on a .Net framework and relies heavily on CSS for the look and feel. 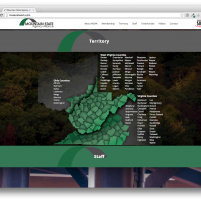 Image Associates served, in part, as a bridge between the highly technical minds of IT and the less technically inclined West Virginia Health Care Authority administrators to translate needs and wants between those two disparate worlds. 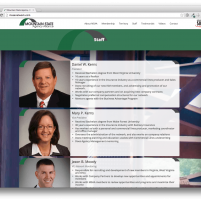 The site’s front end, including the user interface, and the graphical look and feel were coded by Image Associates. 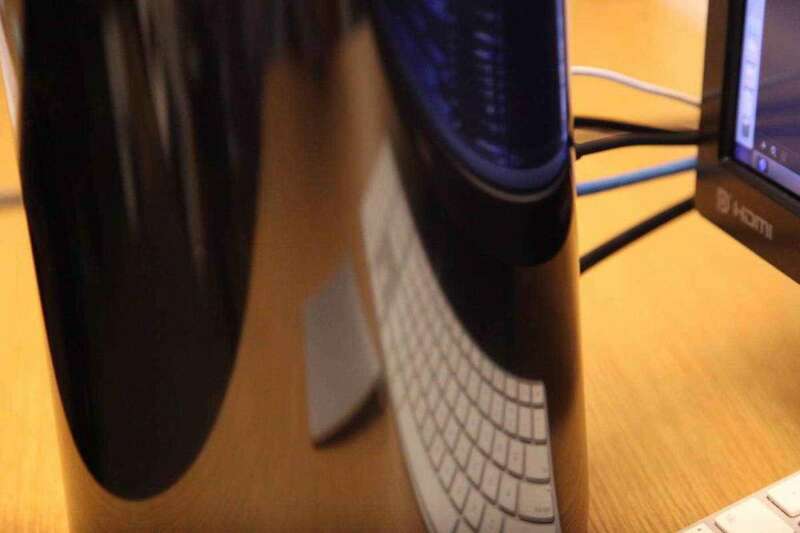 The server code for pulling the information from the back end database into usable tables of data for users on the front end was also provided by Image Associates. 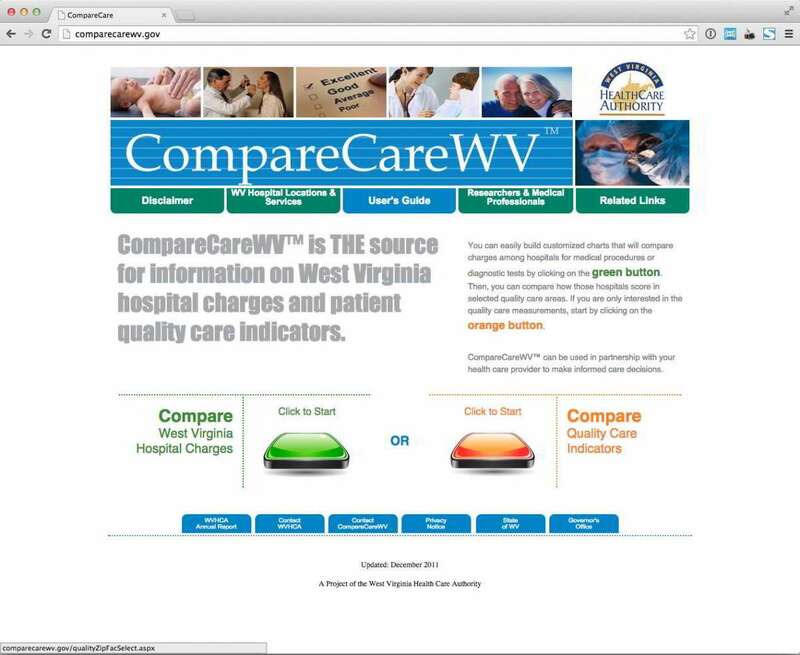 The CompareCareWV Web site has received positive notices and press and continues to provide empowerment to the people of West Virginia by way of increased knowledge of health care costs. 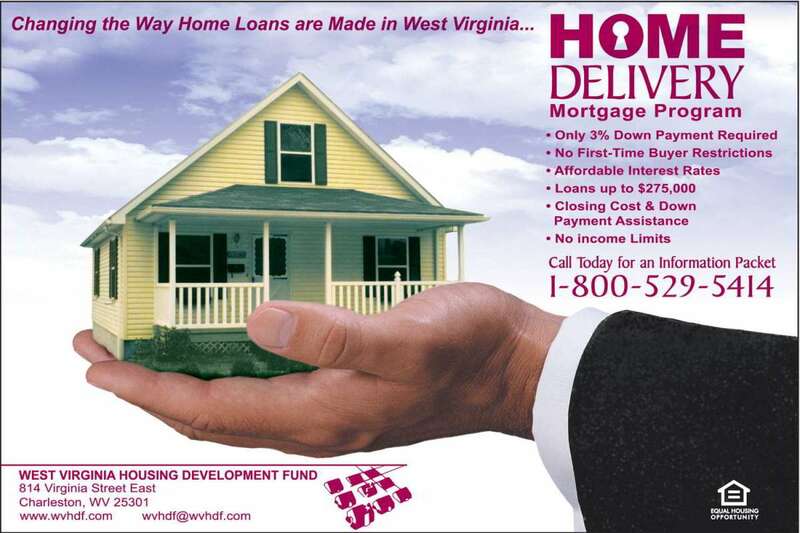 In 2002, the West Virginia Housing Development Fund expanded its home mortgage program. 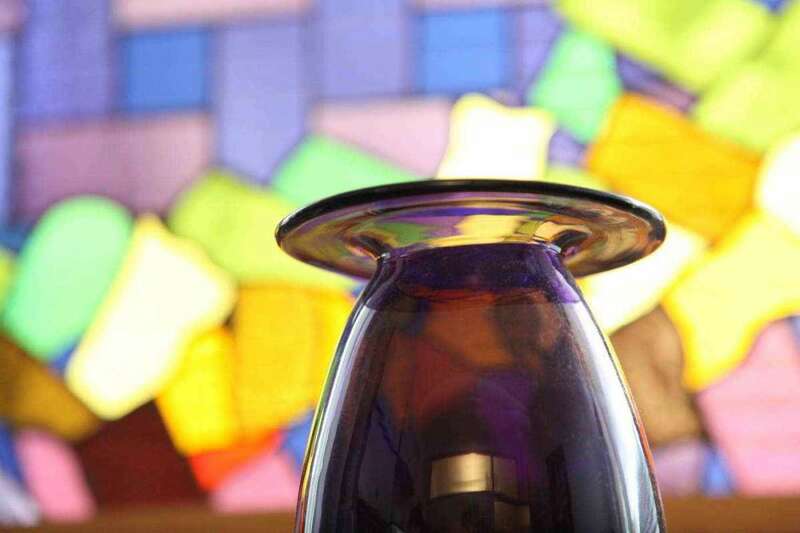 The new program was not restricted to first-time buyers and had no income restrictions. 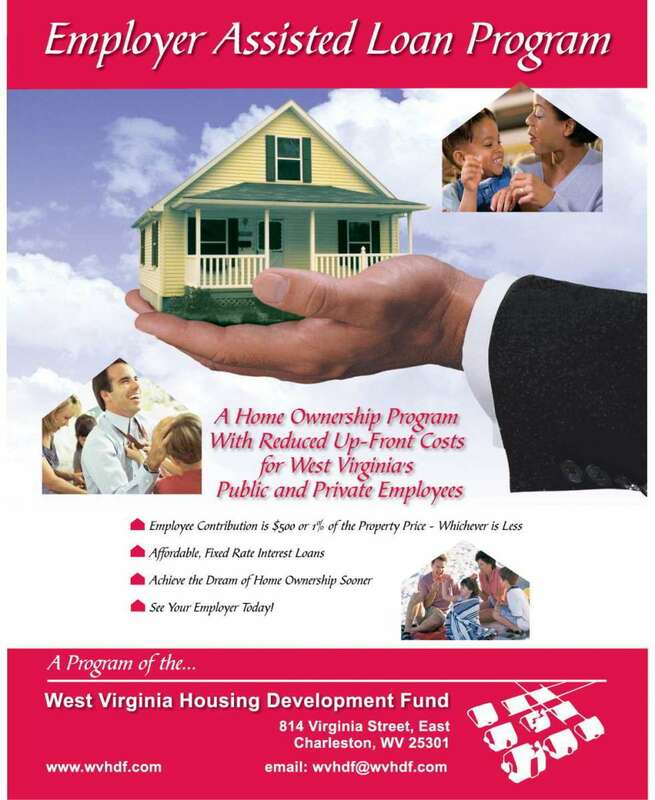 Prior to this program the WVHDF guaranteed loans to first time buyers only and income restrictions and other factors limited eligibility strictly to low-income clients. 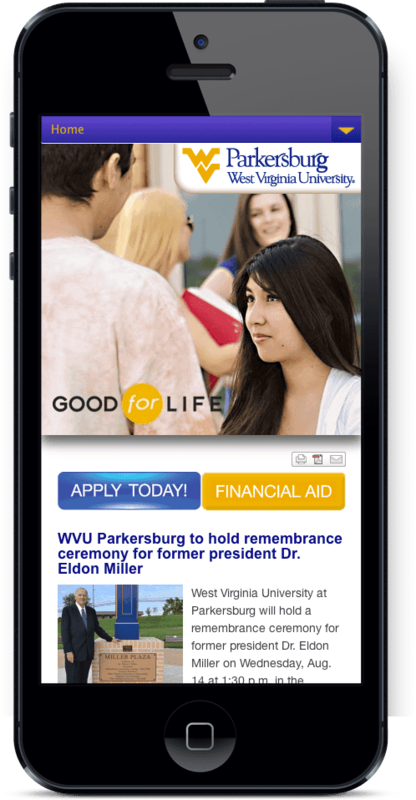 The WVHDF found themselves challenged to serve a much broader demographic than ever before; thus a new advertising program targeting a mid to high income audience was needed. 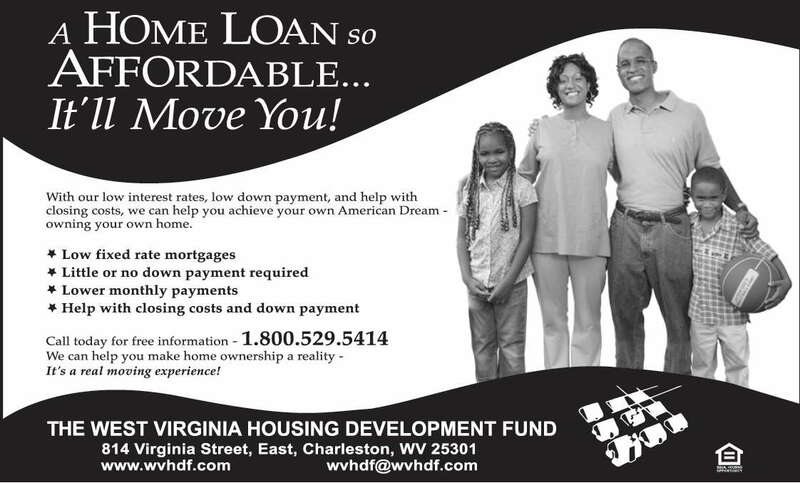 Since the program was new and represented an unprecedented opportunity for homebuyers, the task of responding to the great volumes of requests for information (generated by the advertising) in a timely and courteous manner was expected to overwhelm the internal response systems of the WVHDF. 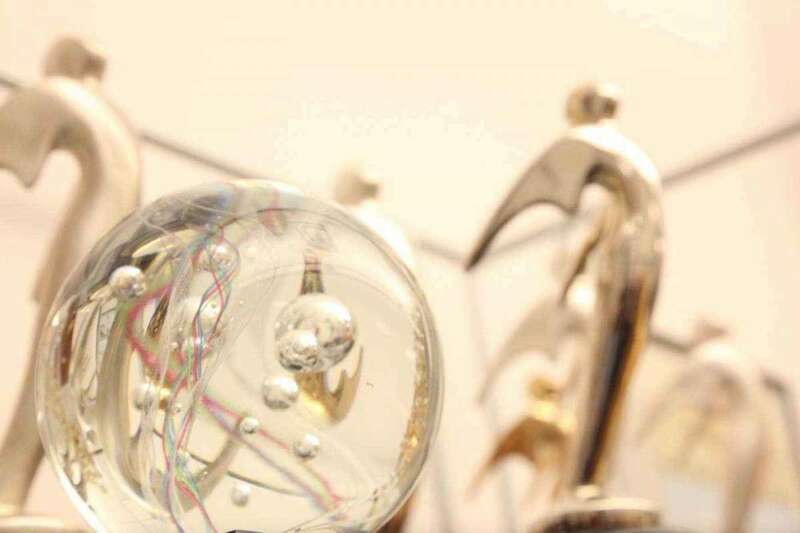 Image Associates named the new program “Home Delivery” and produced television, radio and print ads designed to target homebuyers aged 18 – 54 with incomes above $60,000. 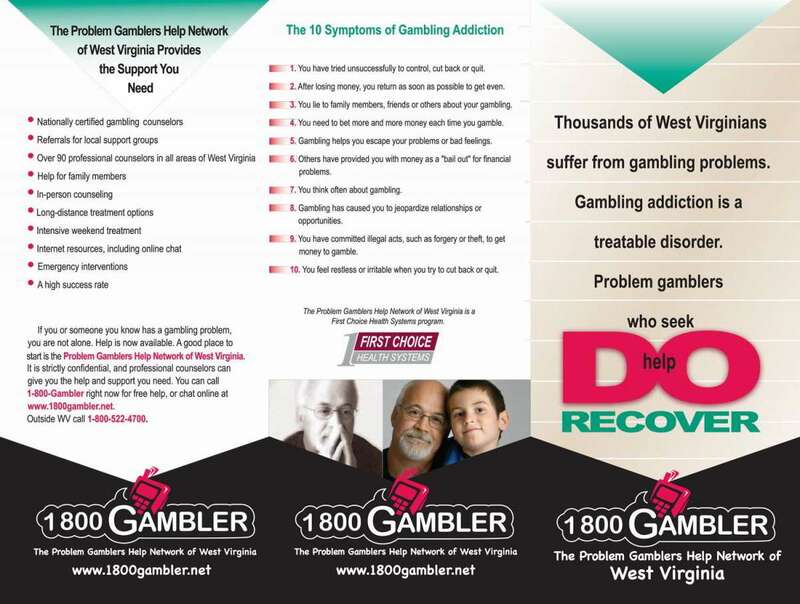 This targeted approach and key visual and audio cues contained in the TV spots were intended to overcome existing perceptions that the WVHDF serves only low-income clients. IA developed a video information packet to answer the most commonly asked customer questions and secured a toll-free telephone number and the services of an Inbound Telemarketing firm to respond to the anticipated call volume. The methodology was seamless to the respondent and ensured timely and courteous call response with no busy signals or hold time. Over the initial 8-week advertising effort, total requests for information reached 337 per week. Requests continued for 11 weeks after advertising had ceased — averaging 15 requests per week, then response rates dropped to pre-campaign levels of 4 to 5 requests per week. 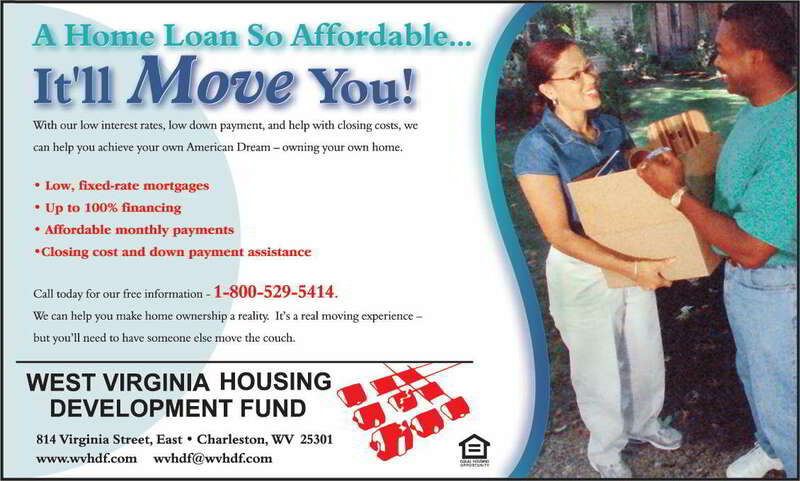 At the suggestion of the WVHDF, Image Associates met with housing fund representatives in Kentucky and Virginia who agreed to form a cooperative advertising group. The first “multistate” campaign worked so well, all three states agreed to participate in a second cooperative TV spot air flight. 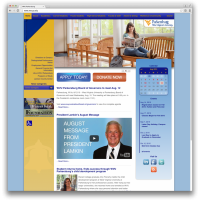 The Network needed to reach all state residents twenty-one plus with their message. The message had to be placed in front of the audience with enough frequency to be memorable and ultimately produce a direct response via the network’s toll-free number. While the Network’s advertising budget is substantial, it is not enough to provide a full year of message delivery to such a large audience at a frequency sufficient to ensure retention. 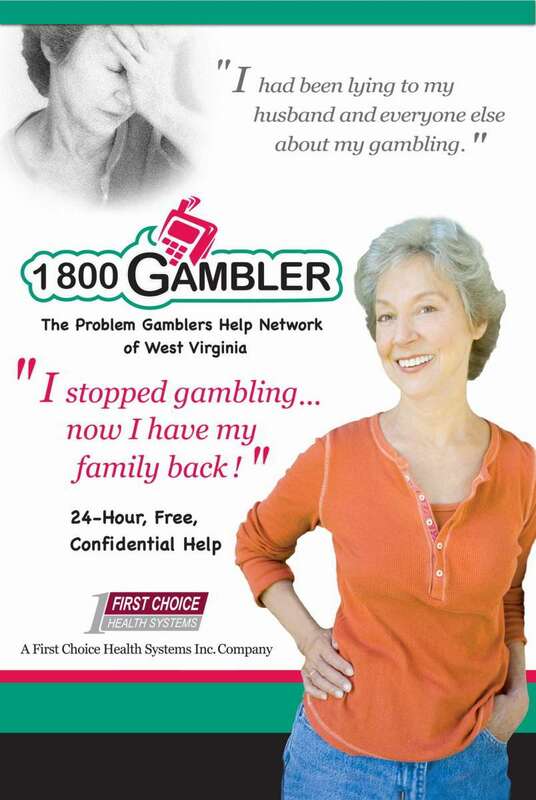 In addition, the network’s primary tool for fielding responses (toll-free telephone line) did not provide the anonymity many of its potential clients seek. Image Associates first created a new logo for the network, three new billboard designs and a graphics package. In response to the need for statewide exposure at retention-level frequency on a modest budget, Image Associates implemented a “traveling media campaign” by placing outdoor and broadcast advertising in each of the state’s five media markets for 12 weeks each versus statewide for 52 weeks. 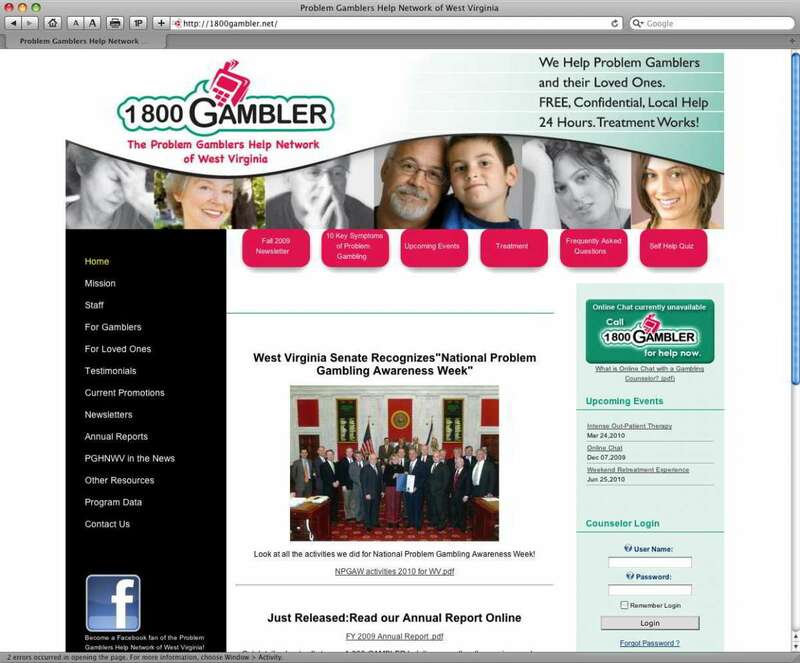 Ultimately, this method produced 60 weeks of high-frequency advertising and created a year-long presence in the West Virginia media marketplace. The level of response to the advertising program was continuous throughout the year where previously advertising response dropped off radically by midyear when advertising dollars were exhausted. 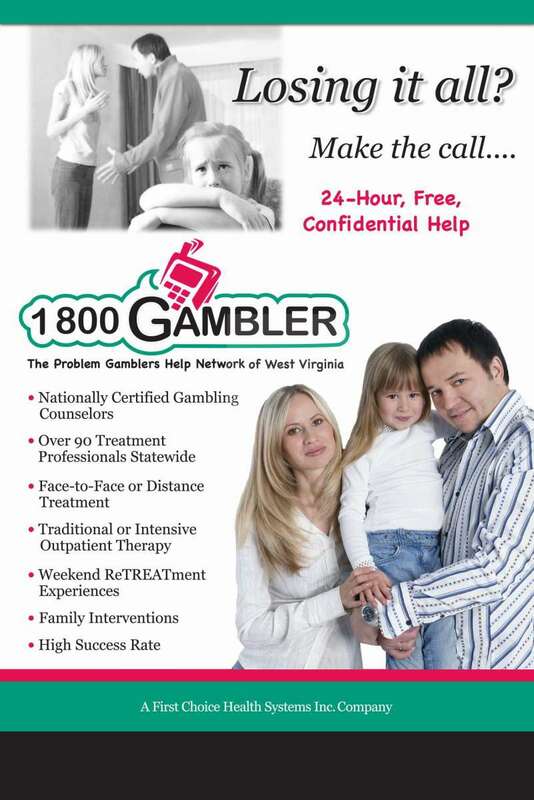 Image Associates also redesigned the Network’s Web site and created an online chat feature that allows problem gamblers to interact with online counselors in real time. 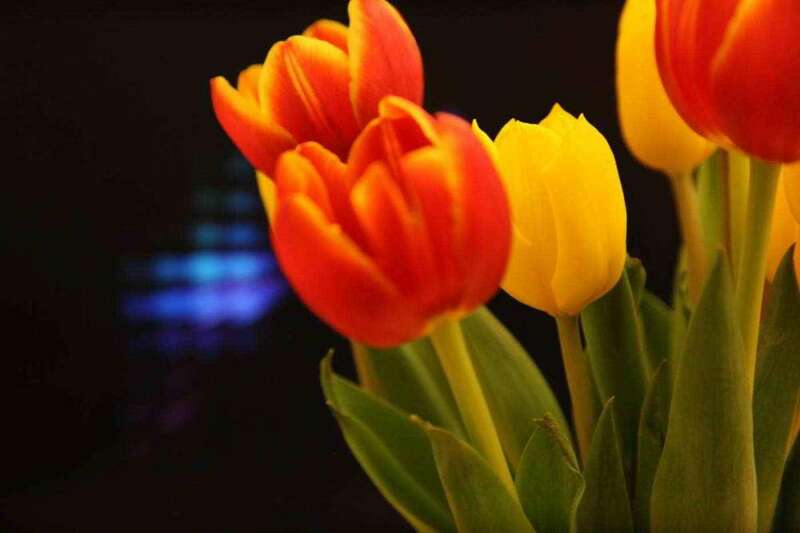 Image Associates, LLC is a full-service communications company created in 1996. We are West Virginia’s only marketing/public relations firm with complete in-house, high-definition media production capabilities. We can see your concept through from beginning to end. 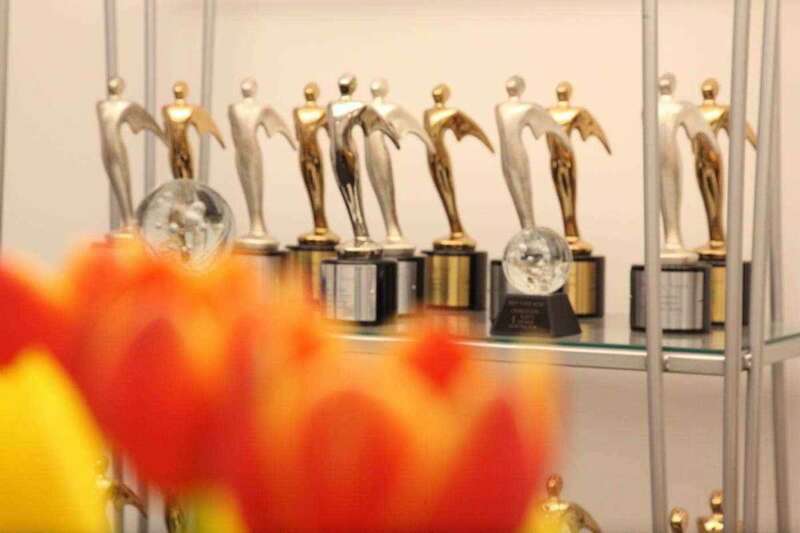 Our award-winning work has garnered scores of TELLY awards and numerous ADDY awards since our creation. 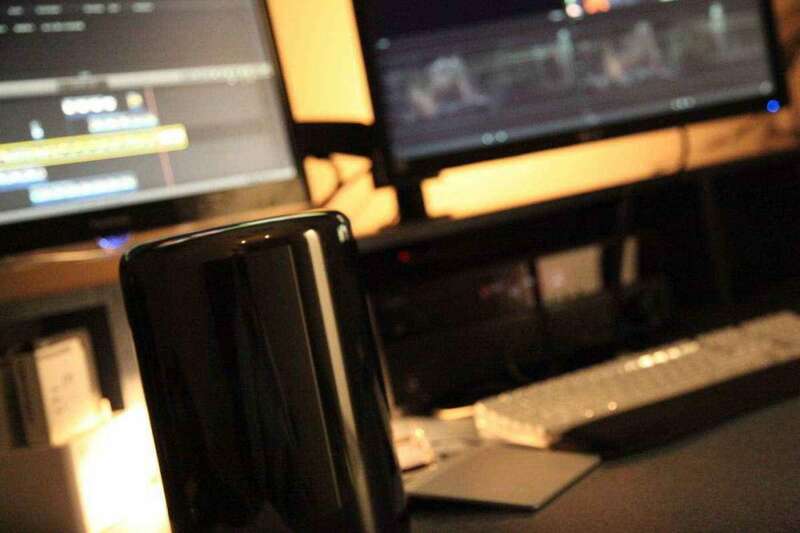 Unlike other agencies who must subcontract television and radio production, we can produce the concepts we develop, thus controlling costs by eliminating subcontractor mark-ups. Our goal is to provide communications that not only support our client’s public relations and marketing efforts, but is also creative, targeted, cost-efficient and effective. The team at Image Associates works quickly, efficiently and demands the highest quality work from themselves and their contracted workers. Image Associates has been a tremendous business association for Contemporary Galleries for over 30 years. I know you can expect the same productivity, effeciency and friendship that we have experienced. 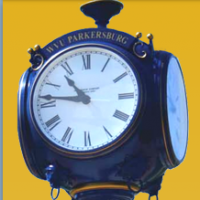 — Mary Anne Crickard, Manager, Comtemporary Galleries of West Virginia, Inc. 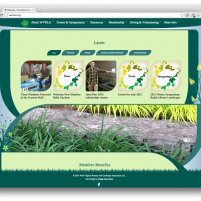 They took our heavily outdated web site and delivered a final product that is a dynamic and user-friendly. We’ve received nothing but positive feedback and I would be glad to work with Image Associates on future projects. 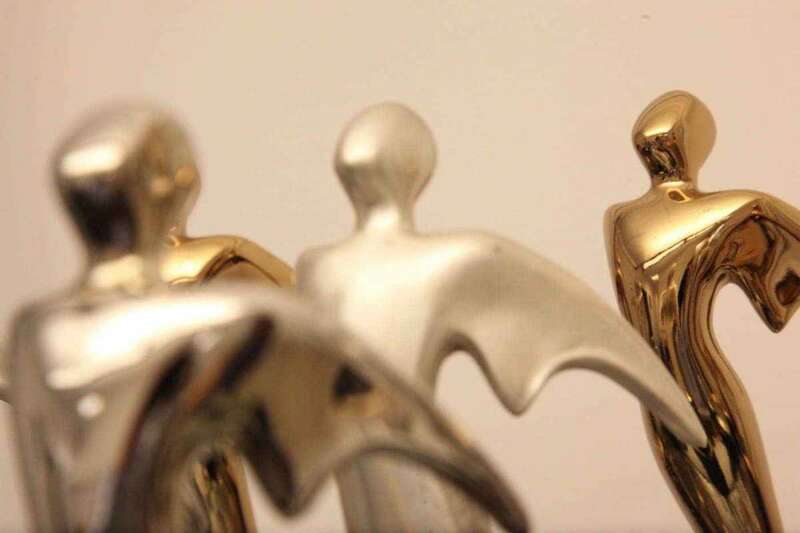 They have consistently produced quality work and contributed to many successful campaigns. The staff at Image Associates is always available, very creative, and extremely pleasant to work with. To match the theme of the organization, an organic design was chosen, reflecting their dedication to bringing the beauty of nature wherever it’s needed. 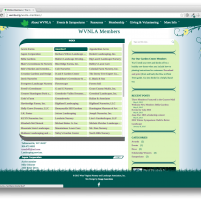 In order to better facilitate the collection of membership fees, a paid memberships system was put in place, allowing WVNLA to take credit card payments via the site. 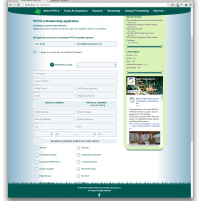 An advanced online membership application form was created to replace the old paper form which had to be downloaded, filled out by hand, and mailed in using old fashioned post. 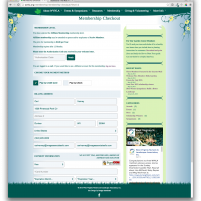 A membership index was created and will give visitors the ability to find a landscape professional near their location. The directory listing for each member will be managed by the members themselves. A clean and well-organized CMS will allow the organization to keep their own content up-to-date as needed. 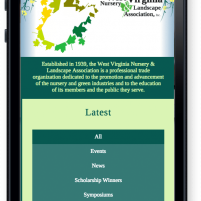 The design features beautiful slideshows of foliage and is highlighted by an animated representation of the existing WVNLA logo. 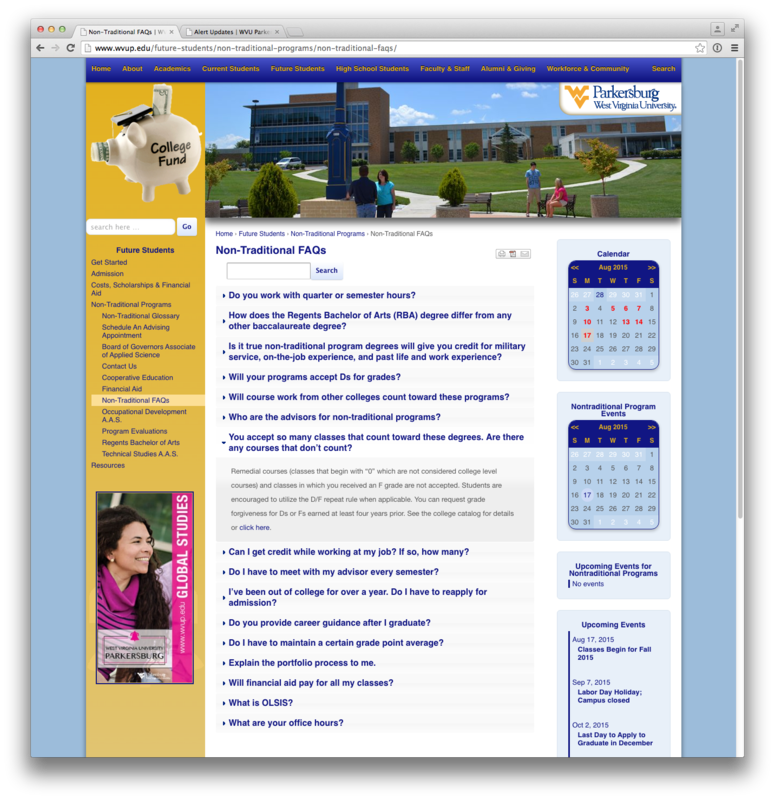 All content of the site is available on the site’s home page. Lazy loading (loads as you scroll down) of articles and images ensures that the site’s initial load time is a brief as possible. Full page image sliders and use of the parallax effect make for an eye-pleasing, yet functional site. Use of custom post types for staff entries, testimonials, and video embeds make management of content easy for the client. A fully responsive design ensures mobile device compatibility, while browser and feature detection ensures the site won’t break in older web browsers. 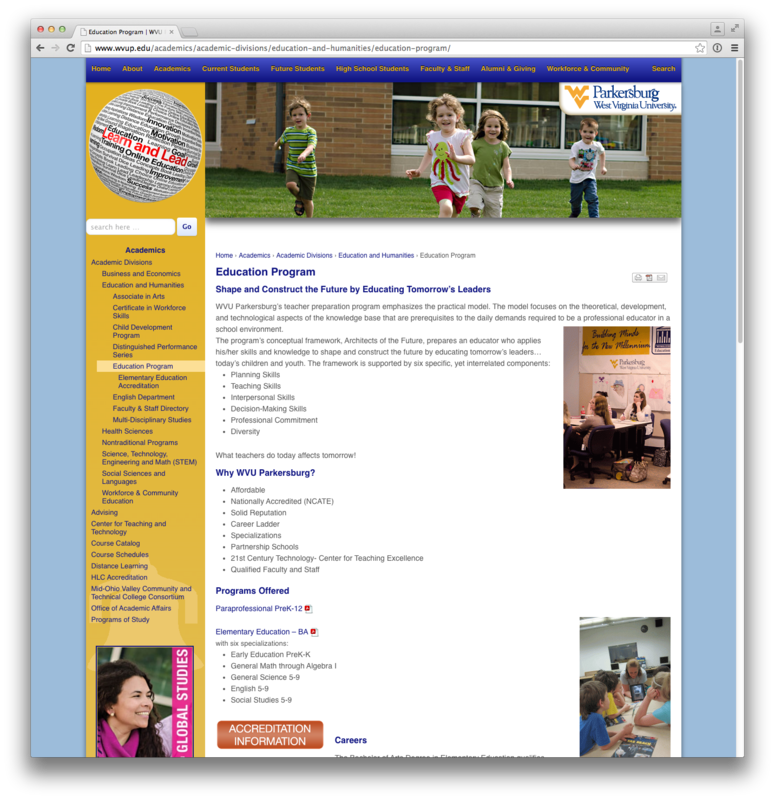 Enhancements to the Content Management System user interface include better menu organization and color coding of elements. 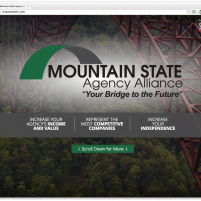 The site makes full use of the glorious scenery around the New River Gorge Bridge, which is the inspiration for MSAA’s logo and their symbol to tie their organization to the Mountain State. 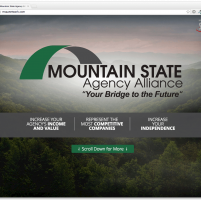 MSAA personnel expressed pleasure with the design and have now taken over day to day content management after a very brief training session, demonstrating the layman-friendly user interface provided by Image Associates to enhance the WordPress dashboard.